Per Hedén is an Associate Professor in Plastic Surgery at the Karolinska University. After initiating his plastic surgery training 1978 in Stockholm, he was a driving force for establishing microsurgery in the region, and he still has a devoted interest for repair of facial palsy. He is also the founder and partner of Akademikliniken, one of Europe´s largest private plastic surgery hospital, where a world leading experience in the use of anatomical cohesive silicone breast implants has been gathered. Dr Hedén has developed many new techniques applying to the use of these devices and he has held a large number of international workshops and demonstration operations. 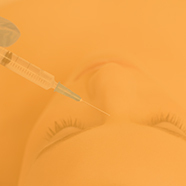 He has also written several international textbook chapters on this subject.Dr Hedén was also very early early user of botulinum toxin (1994) and HA fillers (1996). He had held numerous national and international workshops and demonstrations relating to the optimal use of these products.Dr Hedén is also an inventor of a new fat grafting technology for simplified segmental fat grafting. HA in body contouring: is there a future?